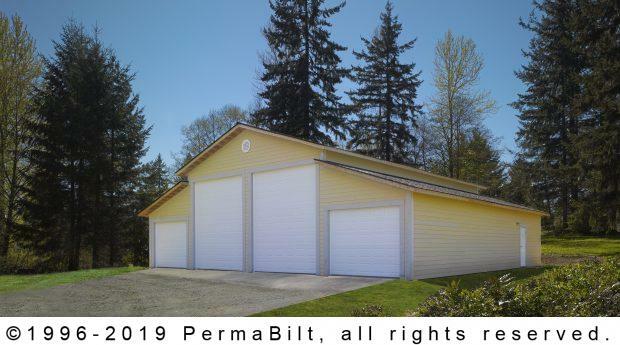 Our Snohomish Washington customer called us prior to his house closing in anticipation of putting up his dream steel garage building on his new property to store his car collection. After a couple of meetings on site with our Building Representative, he decided what he wanted. He requested a referral for someone to prepare the site and then took some time to determine whether “I can afford my dreams or need to down scale.” He went over his plans with his wife, and the site contractor and the decision was that his dream was a go! Once the paperwork completed and the engineered drawings obtained, we submitted for the permit. The County had some fairly cumbersome requirements that we waded through and subsequently obtained the building permit. 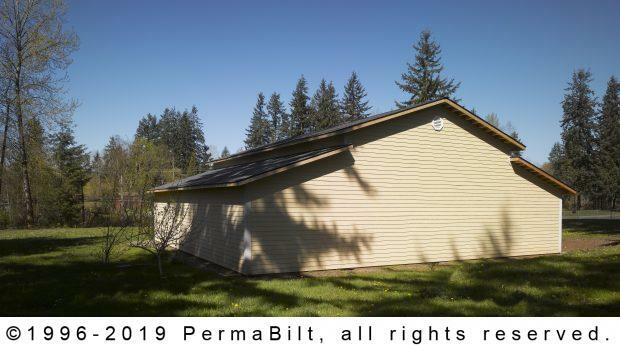 Once we completed construction, the customer began additional work he was doing to the building including sheet rocking the interior and painting and caulking the exterior. Finally settled in his new home, with his new dream car garage, there truly is no place like home.